In some cities a giant concrete box passes for a convention center. Not in Phoenix. 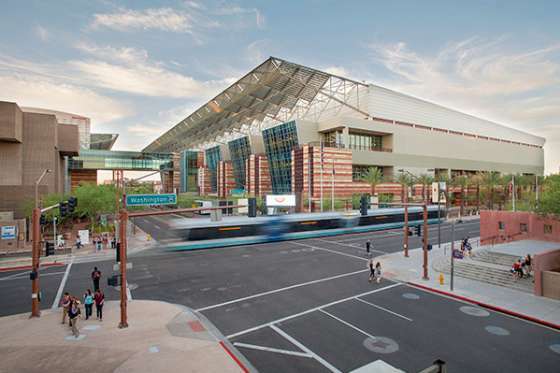 Inspired by the red-rock walls and turquoise waters of the Grand Canyon, the Phoenix Convention Center is one of the most beautiful and sophisticated convention centers in the United States. Its interconnected campus includes three ballrooms, 99 meeting/breakout rooms, a 2,300-seat performance hall and an Executive Conference Center. The award-winning catering staff at the Phoenix Convention Center can feed 360 people every eight minutes, and its bright and airy food court features five themed eateries. Visit the Phoenix Convention Center website for detailed information and specs, including interactive floor plans. 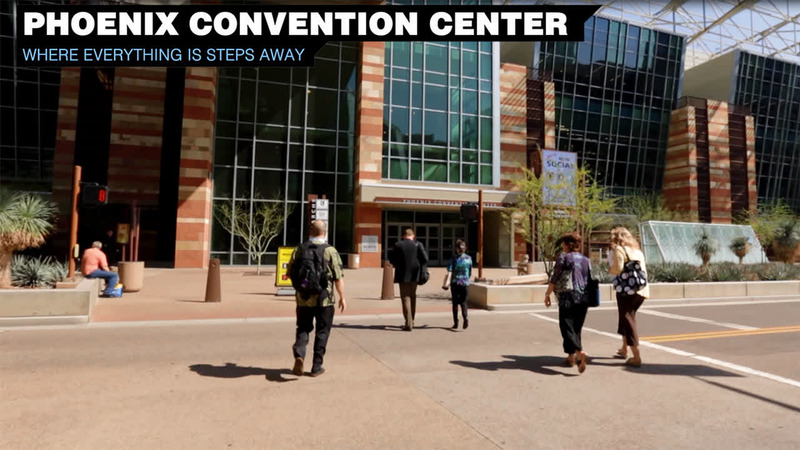 When you step out of the Phoenix Convention Center, you enter the heart of downtown Phoenix. 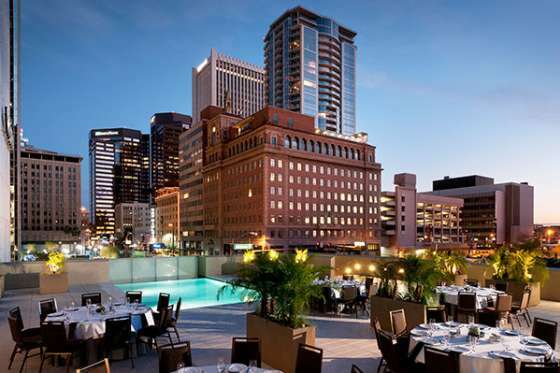 From the doors of the center, you&apos;re just minutes away from the comforts of your hotel, the cuisine and cocktails of nearby restaurants, and the nightlife of Phoenix’s urban core. The four-level structure occupies a city block and boasts 635,000 square feet of meeting and exhibition space. It features a street-level ballroom, 11 exhibit halls, 56 meeting rooms and 20 climate-controlled loading docks. 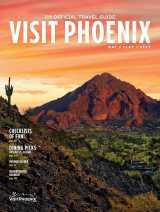 Inside, thoughtful touches include exhibit halls with pre-scored floors for easy booth setup, a food court, and outdoor meeting and pre-function areas that capitalize on Phoenix’s greatest natural resource—the sun. The North Building is linked to the neighboring West Building by both a glass-encased sky bridge and a substreet exhibition hall. The West Building is a Leed Silver Certified facility with 157,000 square feet of conference-style meeting and exhibit space. Its environs include 32 flexible meeting rooms, a ballroom with 30-foot ceilings and telescopic seating, an adjoining performance center, and a dedicated Executive Conference Level with a 192-seat lecture hall. The latter boasts an advanced technological infrastructure with enterprise encryption for safe and secure data protection. Audiences in the lecture hall also can issue wireless responses in voting situations, and assisted-listening devices provide real-time interpretations in up to four languages. A 90-foot-high glass atrium encases the West Building’s lobby, which is ideal for large receptions. The lobby’s huge glass door can be raised to create a dramatic, open-air environment. The South Building—which includes over 143,000 square feet of versatile meeting and exhibit space — underwent an $18.5 million makeover in which no corner of the facility went untouched. Its exhibition halls, ballroom and meeting rooms have been adorned with new colors, carpet and lighting; every restroom has been remodeled; and Wi-Fi coverage extends to all public and rentable areas.